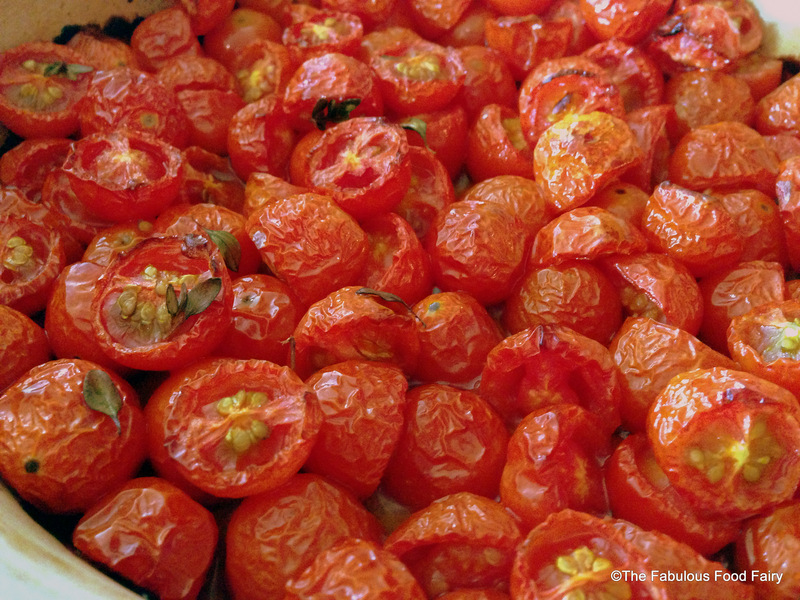 I don’t really love tomatoes raw, but once roasted, I could eat them until I burst. Seriously, I need to wear my yoga pants (aka “buffet pants”) when indulging in any roasted tomatoey goodness. I even went as far as to plant a bazillion cherry tomato plants in various parts of my backyard to satisfy my need for these yummy little savory treasures. My passion err..obsession for roasted tomatoes started with a recipe that I saw for French bread pizzas. The recipe called for roasted cherry tomato puree as the pizza sauce. Once I made these, it opened all new doors. 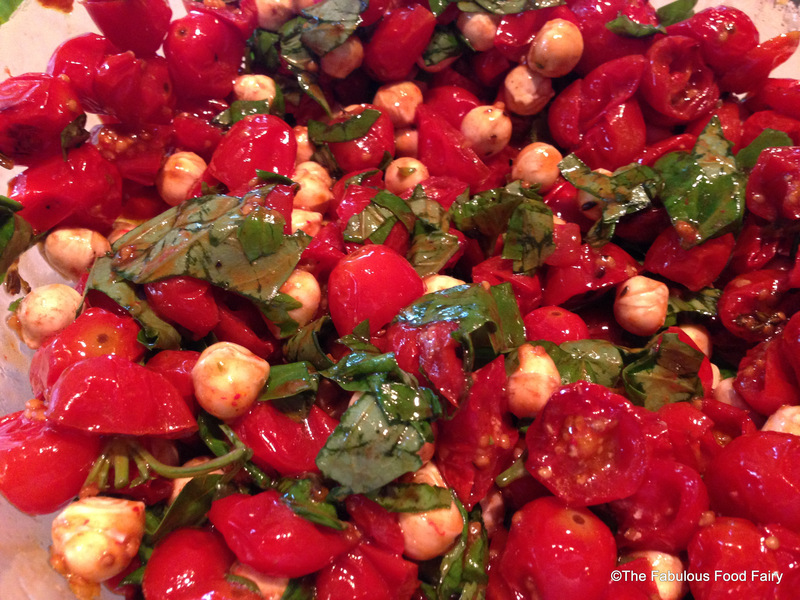 I now use roasted cherry tomatoes on a weekly basis for a multitude of recipes. They’re simple, easy, and packed with flavor. Try them, but I take no responsibility for creating a new addiction, or causing you to need stretch pants to accommodate your overstuffed belly. 1. Wash & dry the tomatoes. 2. Slice them in half. 3. Pre-heat the oven to 425 degrees. 4. 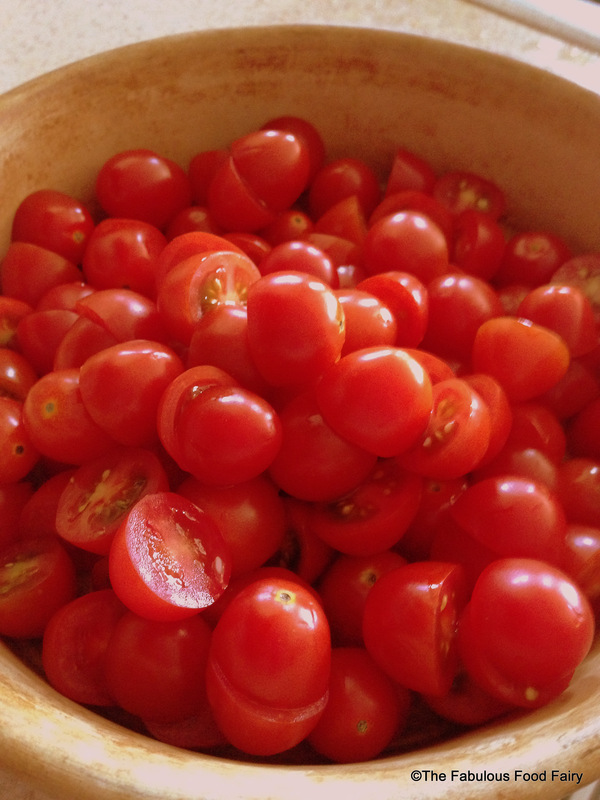 Place the tomatoes in a casserole dish or roasting pan so they cover the bottom in a single layer. 5. Drizzle with olive oil, sprinkle with salt & pepper. 6. Add thyme, and toss, coating all of the tomatoes. 7. Roast in the oven on 425 for about 35 minutes, or until they are withered and caramelized at the edges. 1. Allow them to cool and toss with fresh basil, mozzarella, and balsamic vinegar. 2. Roast 3 cloves of garlic with the tomatoes. Puree with a hand blender, add a sprinkle of sugar if you like the sauce a bit sweet, and top raviolis, or use it as a pizza sauce for French bread pizza. 3. 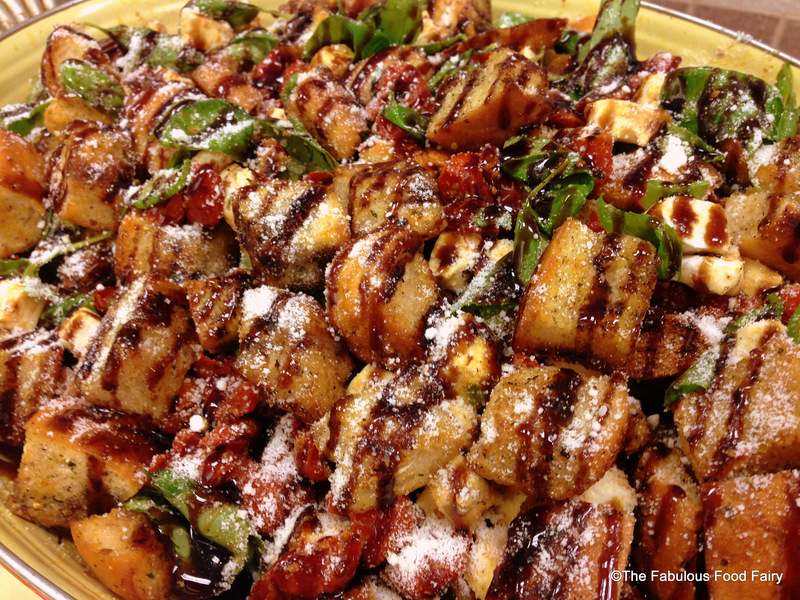 Toss with mozzarella, basil, balsamic vinegar, and large croutons for a tasty panzanella.